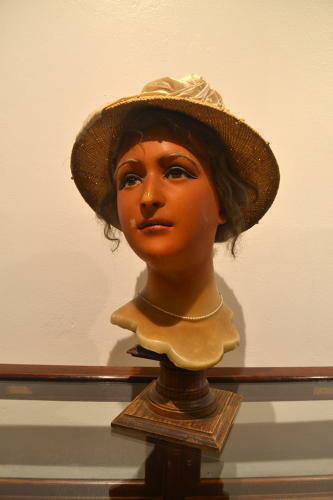 Beautiful original French wax head dating from the 1920s. She has glass eyes and the original wig - sits on an oak stand. Has a few small markings but is in good condition.